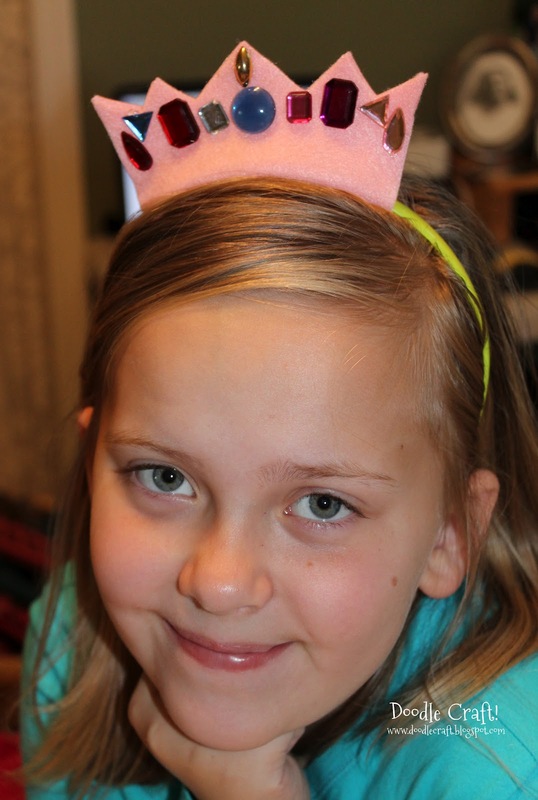 Doodlecraft: Felt and Rhinestone Princess Tiara! Felt and Rhinestone Princess Tiara! And then last month we took a trip to Disney World with some family. I decided she needed a princess tiara that wouldn't be a problem on the trip! So, the felt tiara headband saved the day! cut jagged across the unfolded side...and a metal headband. These are perfect and don't break like the plastic variety! Then hot glued on some pink rhinestones! and the rhinestone crown headband! That is adorable! Awesome idea & super simple to do.